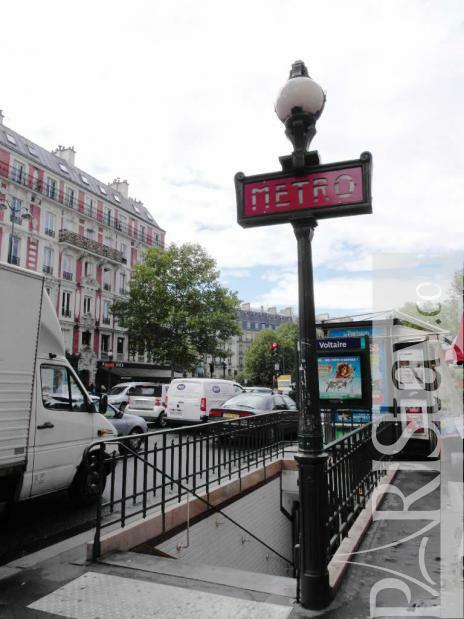 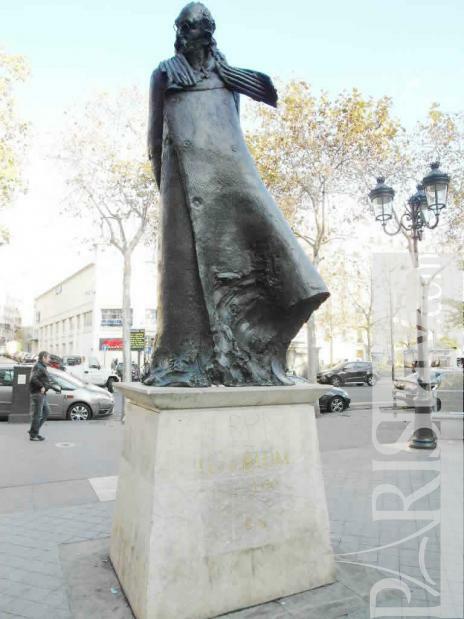 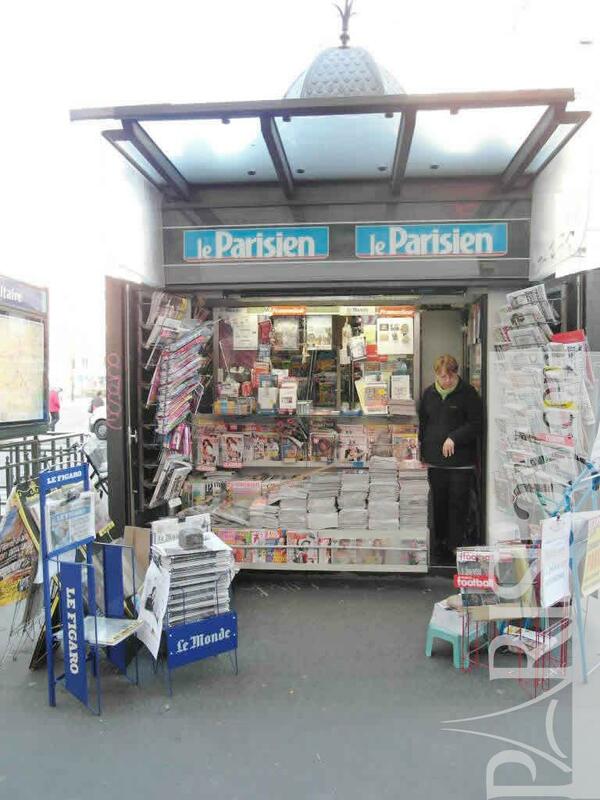 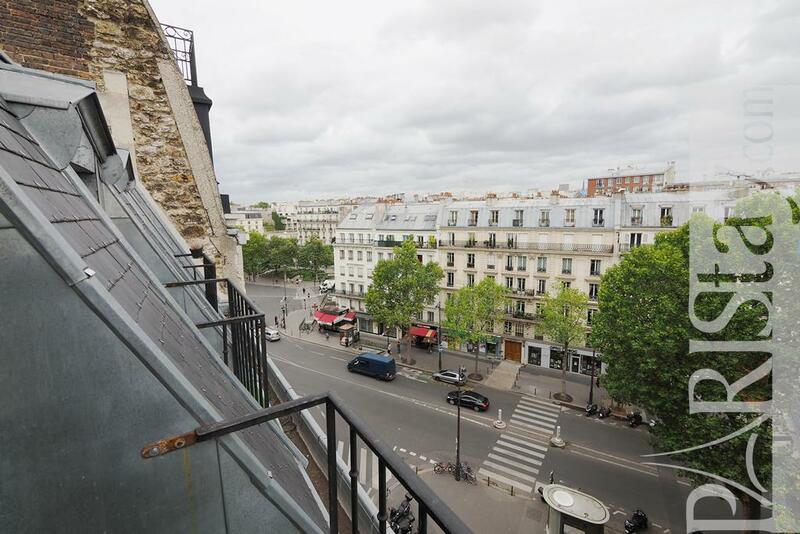 Located in the very lively Paris 11th arrondissement , close the famous Bastille area, at Voltaire subway station, this Paris studio apartment rental will welcome you. 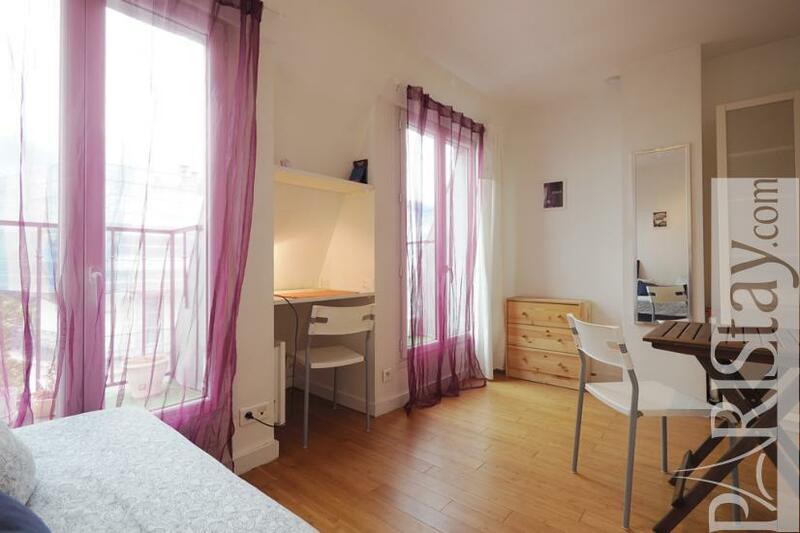 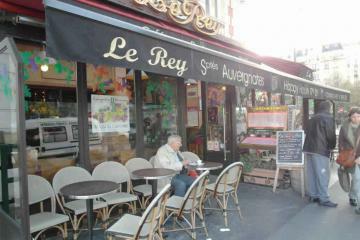 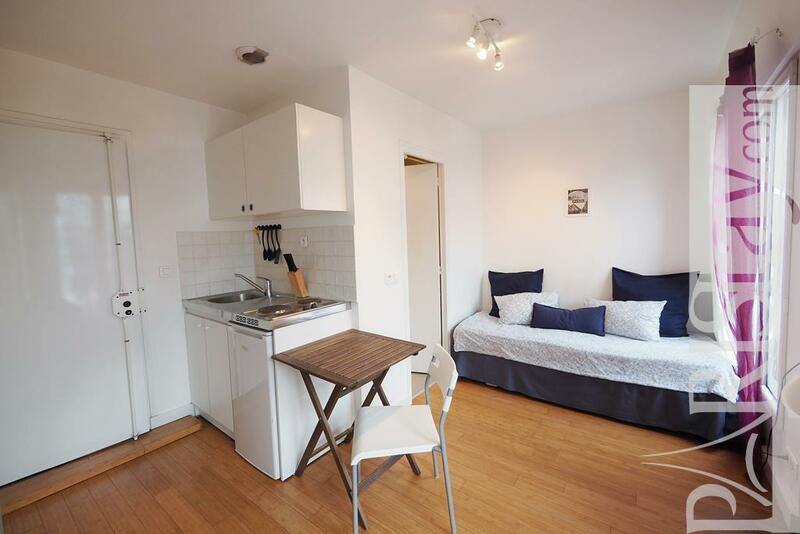 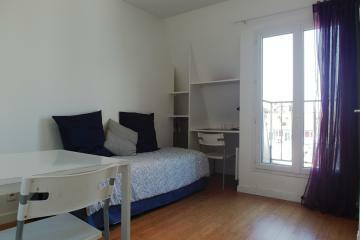 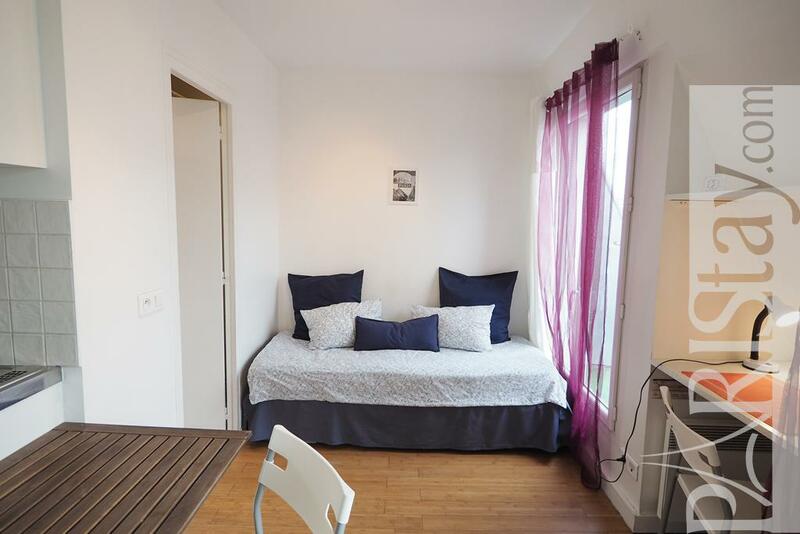 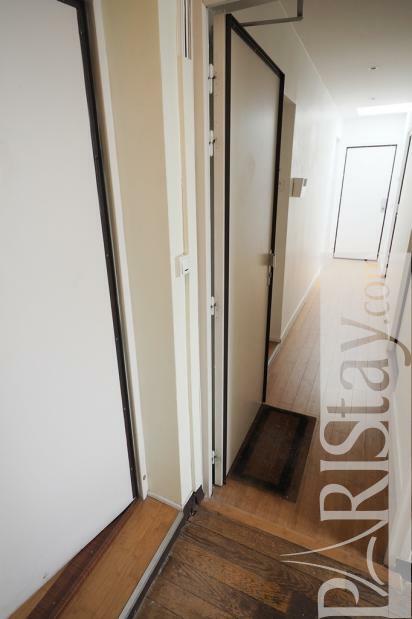 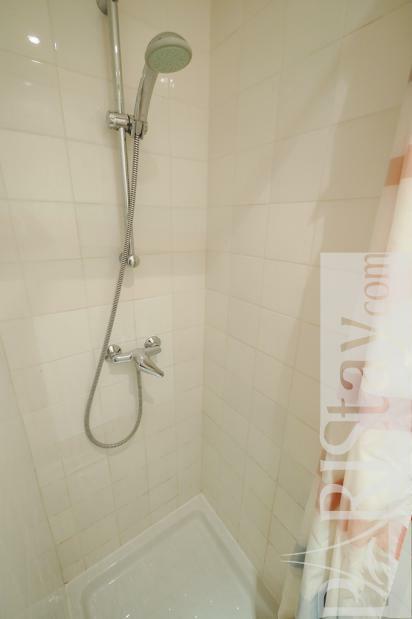 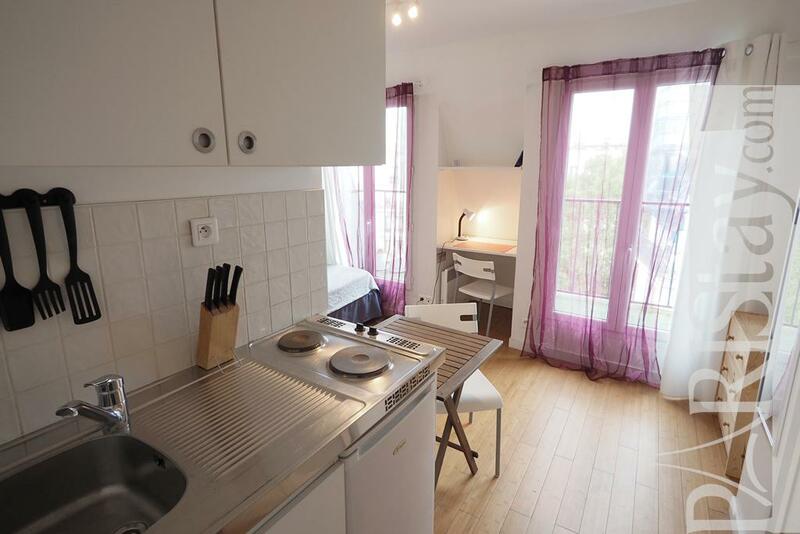 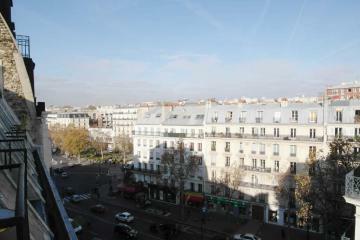 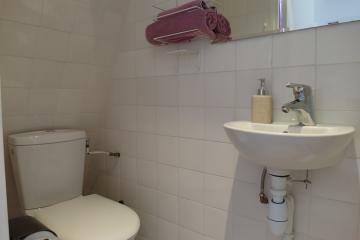 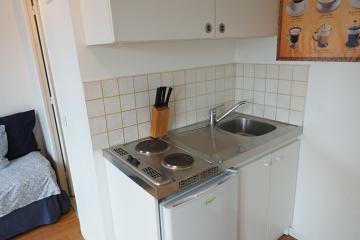 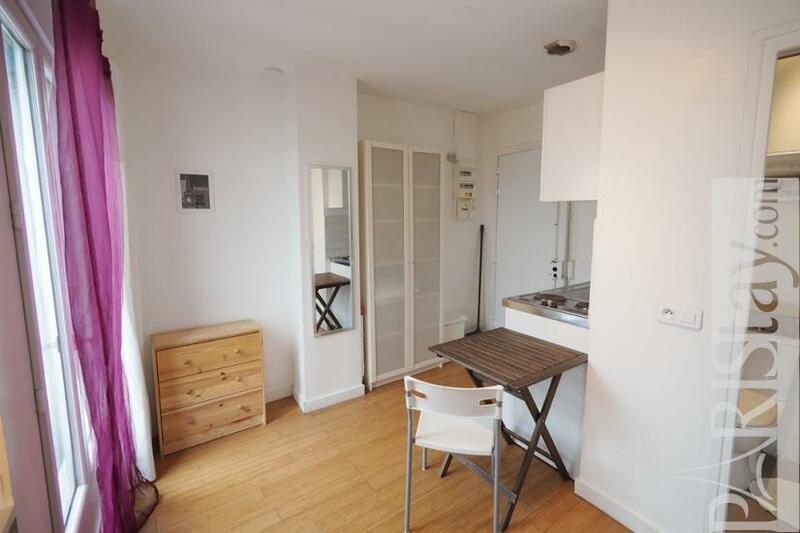 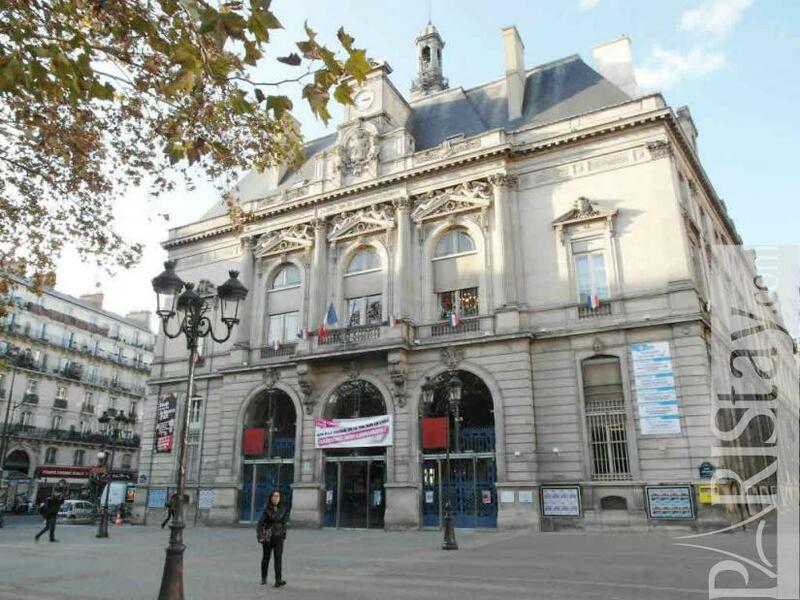 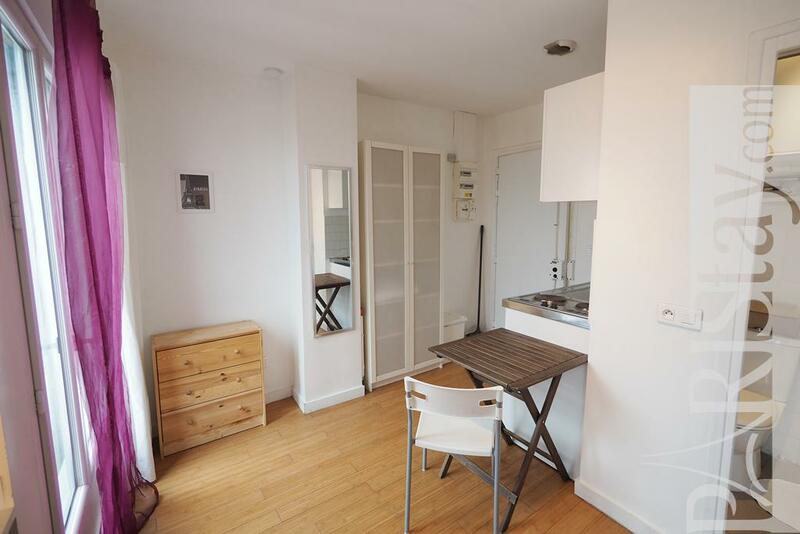 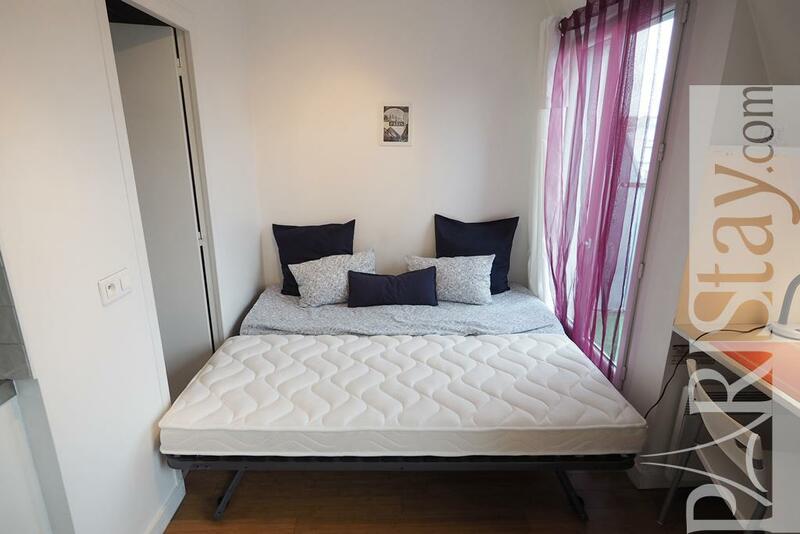 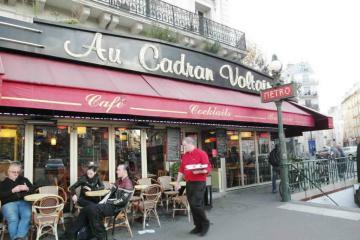 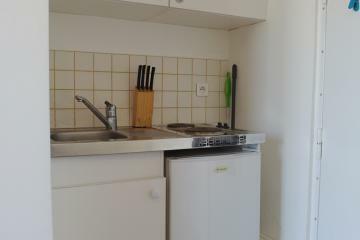 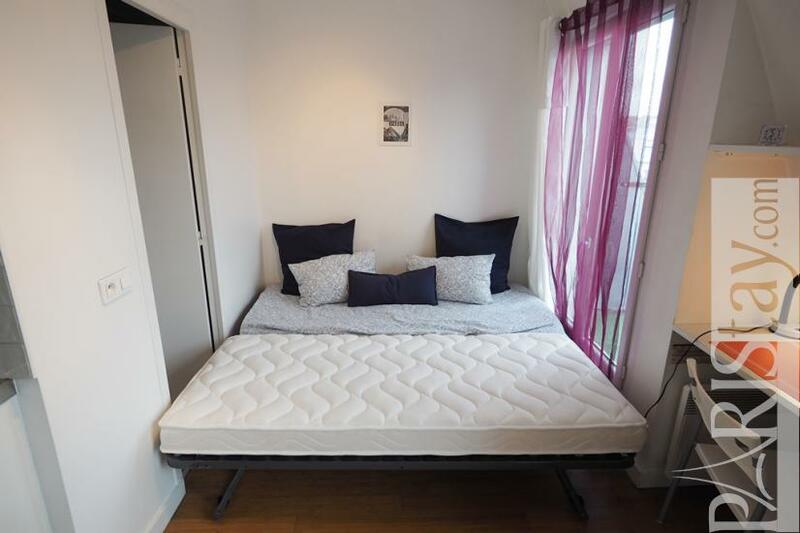 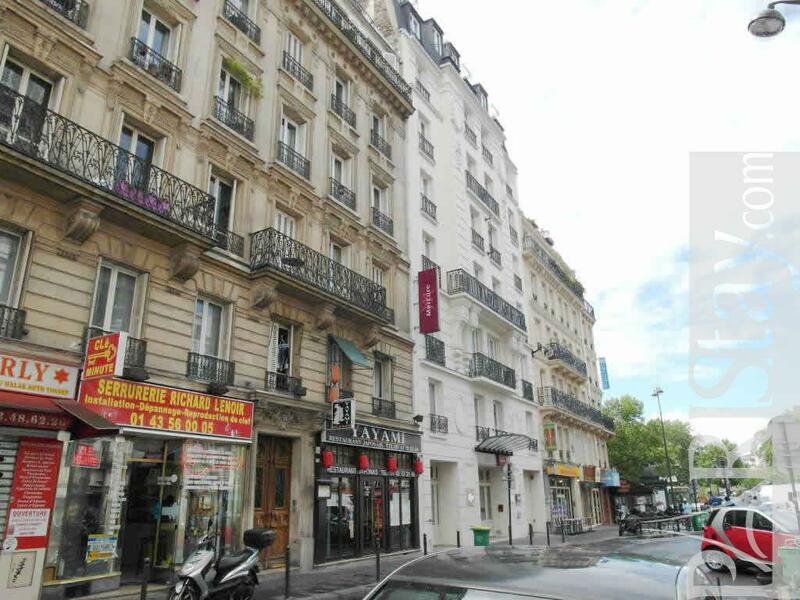 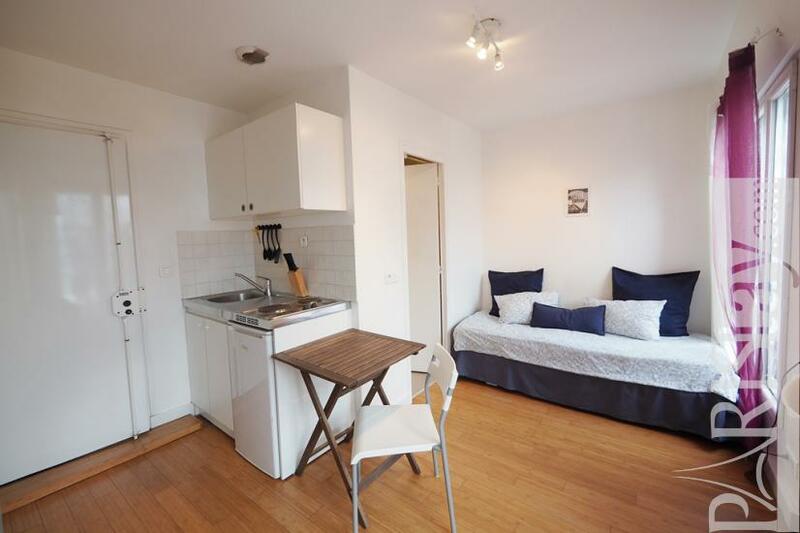 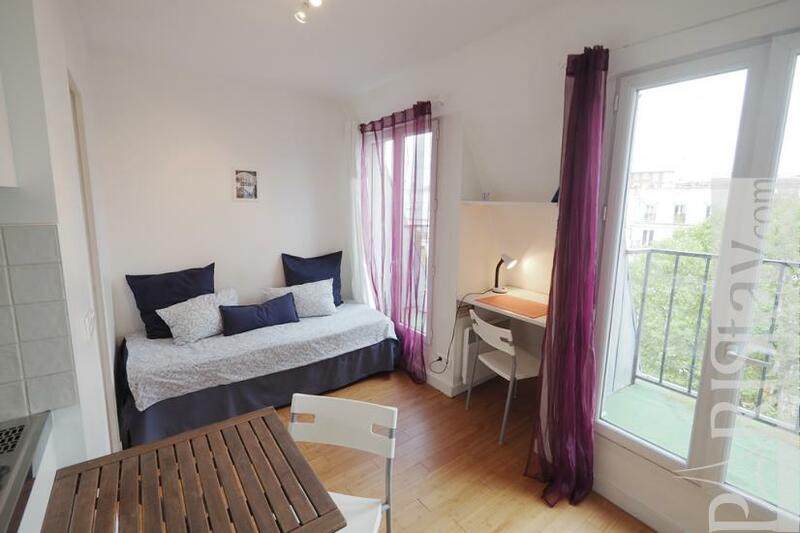 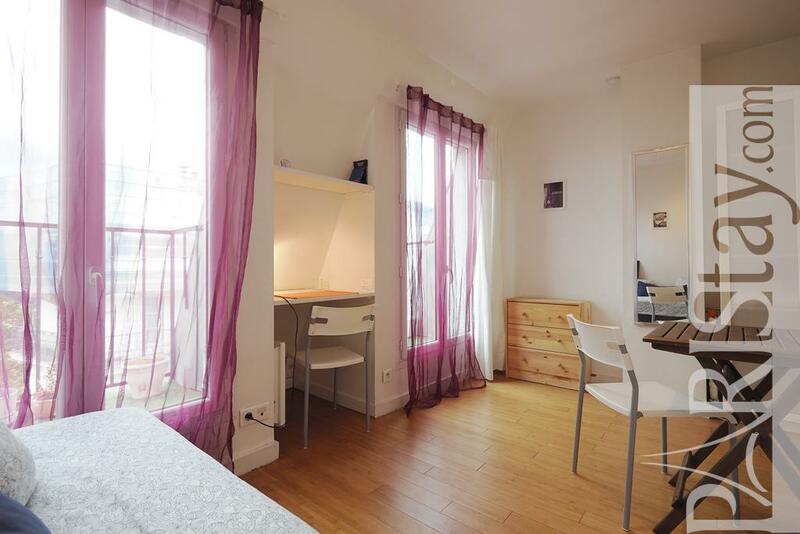 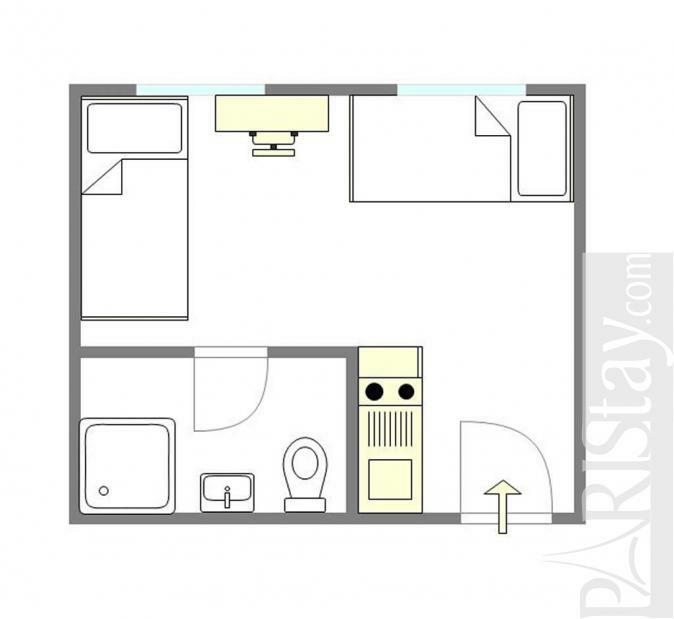 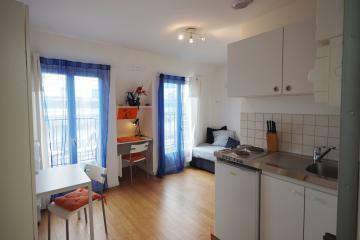 Ideal for a student it is furnished enough for a long term Paris renting. 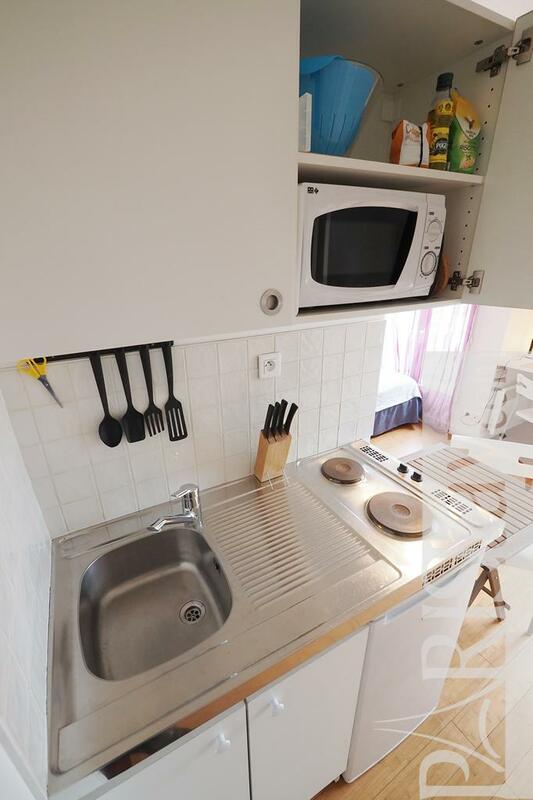 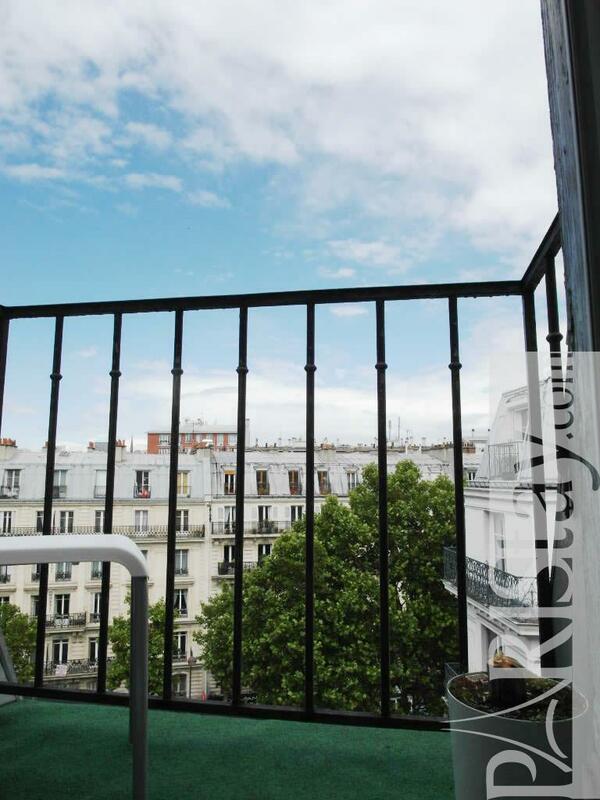 This flat is situated on the 6th floor (with lift) of a typical parisian building. 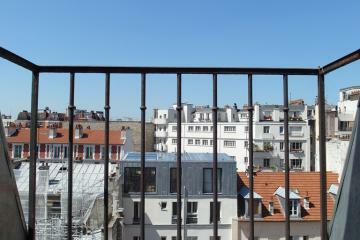 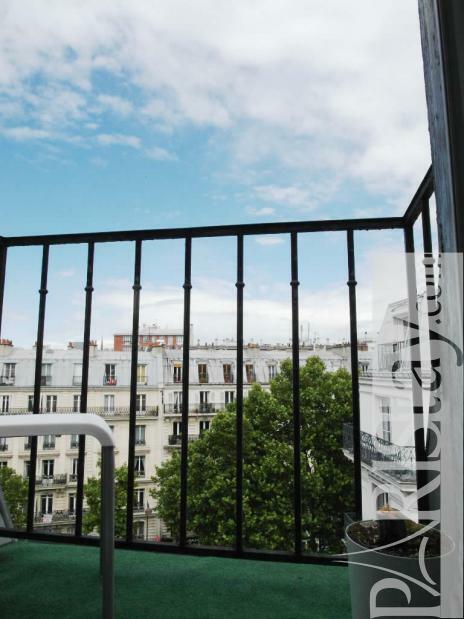 It is bright, quiet, convenient and offers a formidable balcony on Paris rooftops. 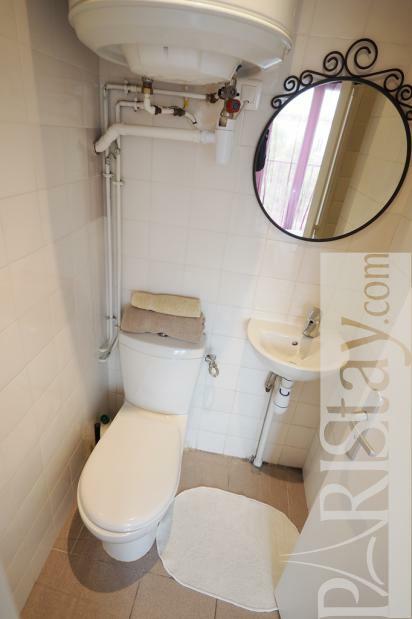 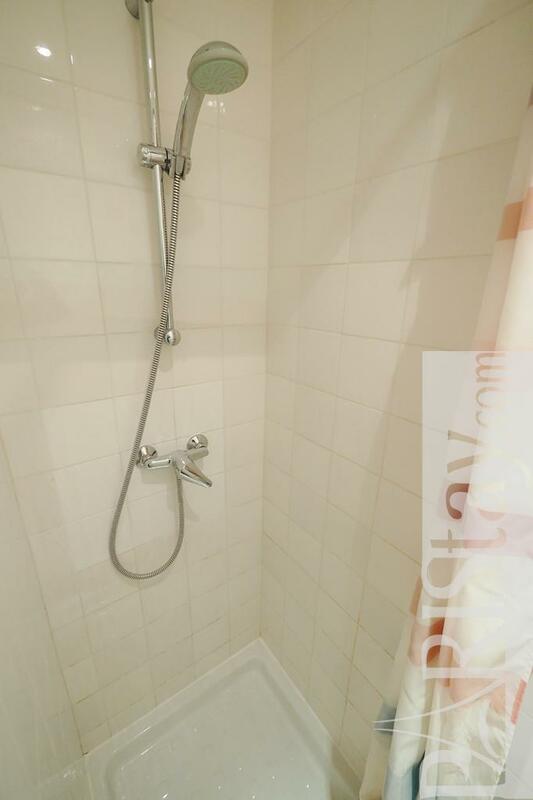 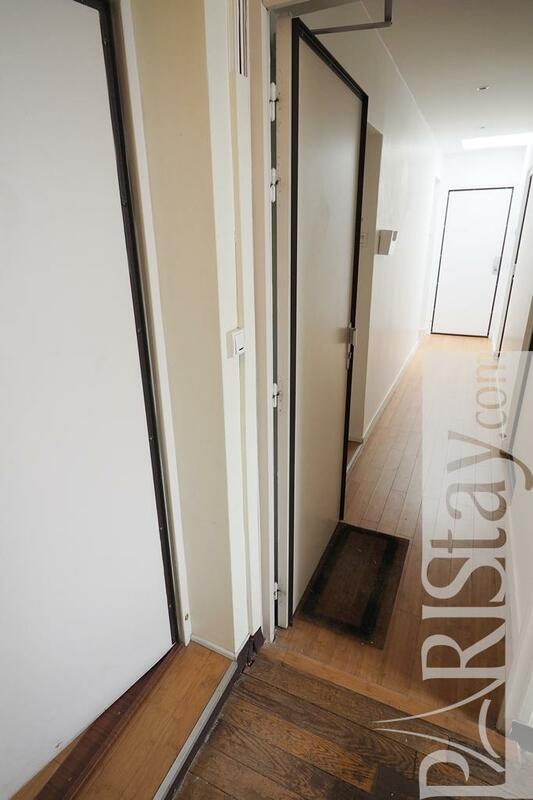 Convenient trundle bed which sleep 2 people separately, equipped kitchen corner private shower room with WC. 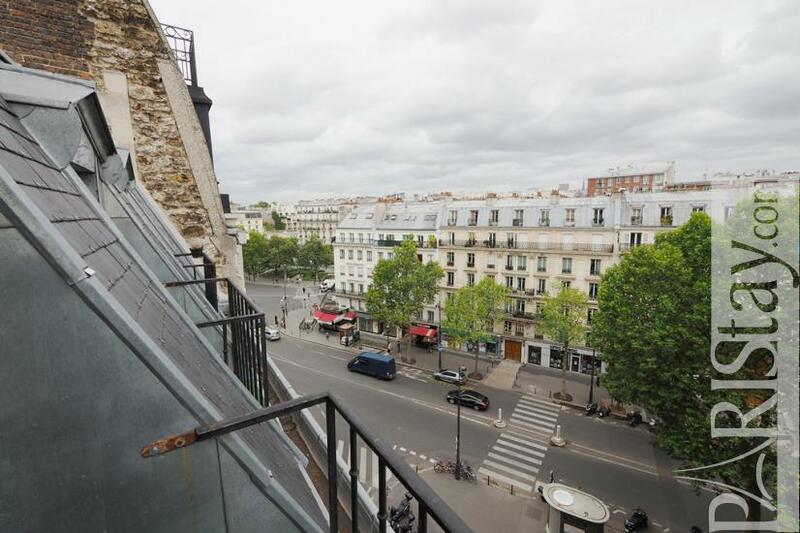 friendly neighborhood. 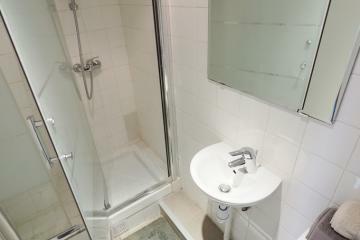 To be seen asap! 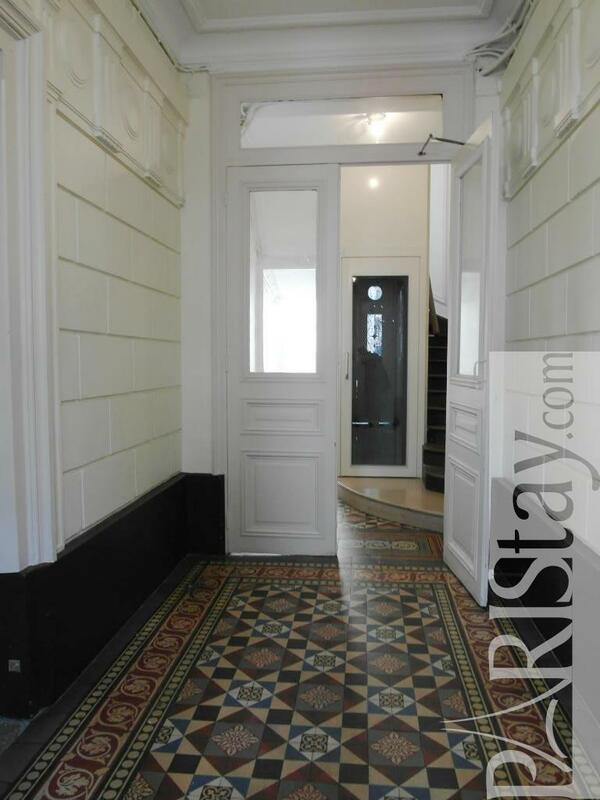 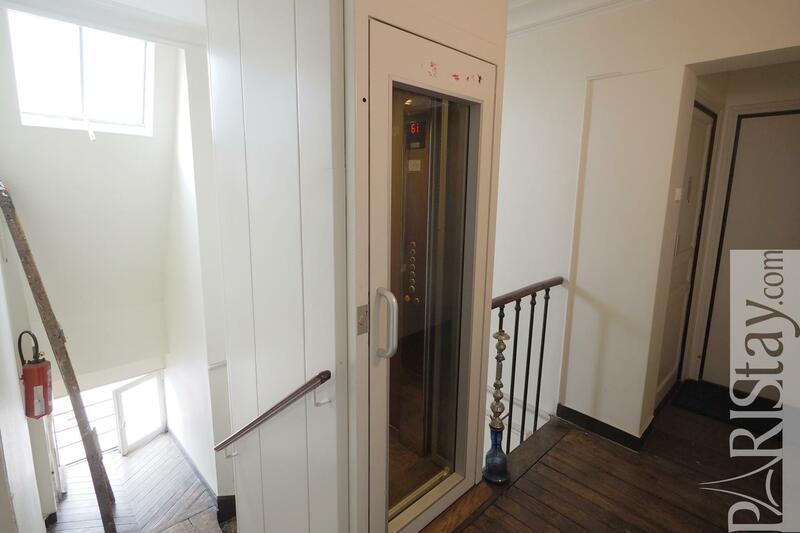 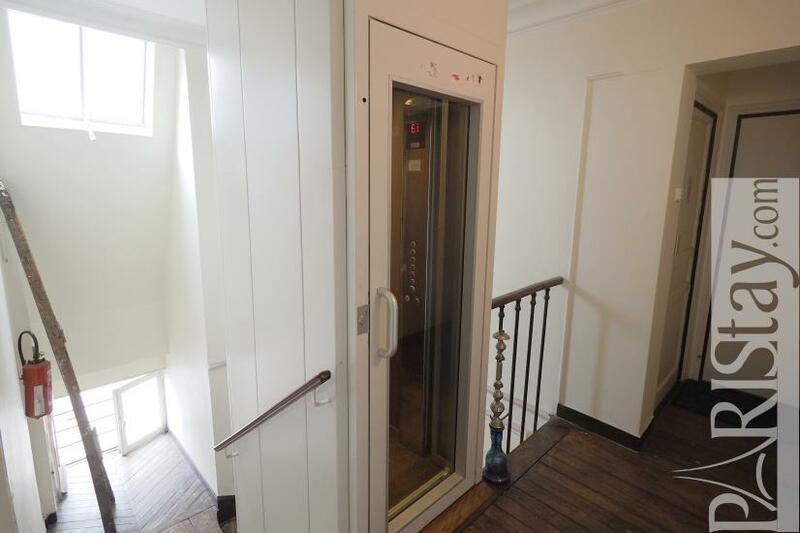 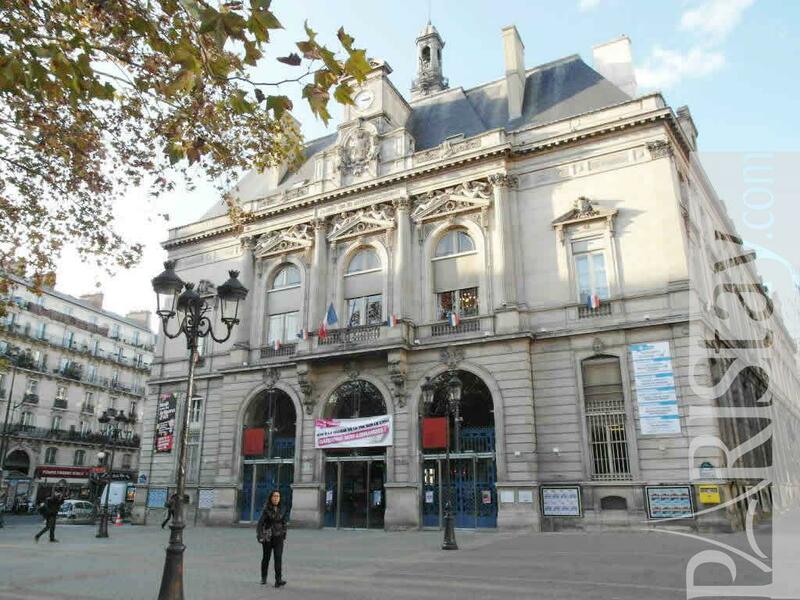 1880's Building, 6 rd floor, with Lift, entry code security system, Student studio Appartement, furnished, Approx: 15m² / 161 Sq.Ft.